A relationship between not smoking and ulcerative colitis has been examined in all English reports. 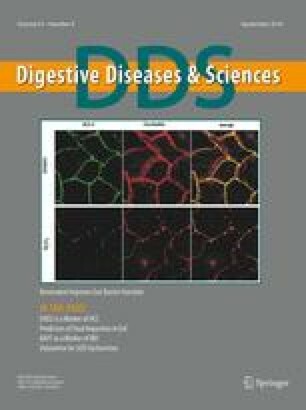 This paper evaluates the ulcerative colitis/nonsmoking and the Crohn's disease/smoking association by meta-analysis and against causality criterion for chronic diseases. A review of the literature, meta-analysis of selected studies, and assessment of causality criterion all suggest that not smoking and ulcerative colitis and smoking and Crohn's disease are consistent with a causal relationship. It is not inconceivable that tobacco may contain some substance beneficial to ulcerative colitis patients. Identification of the specific product in tobacco producing a beneficial effect would be a prudent next step in the study of this association. In spite of the findings of this review and analysis, the author finds no justification for health care providers to change the Surgeon General's recommendations on smoking or tobacco use for ulcerative colitis patients specifically. This work was partially supported by R01 DK38829-01 and R01 DK38693-01.